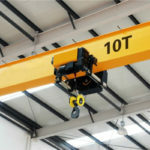 Overhead crane manufacturer has great responsibility for the lifting equipment customers. We hope the equipment can meet their needs. Although theses clients has more ideas and other requirements. As the leading manufacturer and supplier in China, we will do the products made in China. In addition, if you have some problems, you can get in touch with us as soon as possible. We will spare no effort to help you. 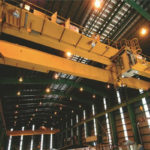 Overhead cranes are mechanical equipment used to lift various objects above the workshop, warehouse and open storage yard. It is the most widely used lifting machinery in the mechanical, metallurgical and chemical industries. In modern industrial enterprises, it is one of the important equipment to realize the mechanization and automation of the production process, which reduces the heavy manual labor and improve the production efficiency. For the use of bridge cranes, we should pay attention to various safety matters. Overhead crane is comprised of bridge, the trolley travelling and crab travelling mechanisms, the electrical equipment, and other basic parts. We can add the remote control in order to ensure operators’ safety. Sometimes, the bridge cranes must be equipped with reliable and sensitive safety devices. Generally, there are a buffer, a limiter, a lifting limiter, a windproof rail clamp, and other devices according to the customers’ requirements. 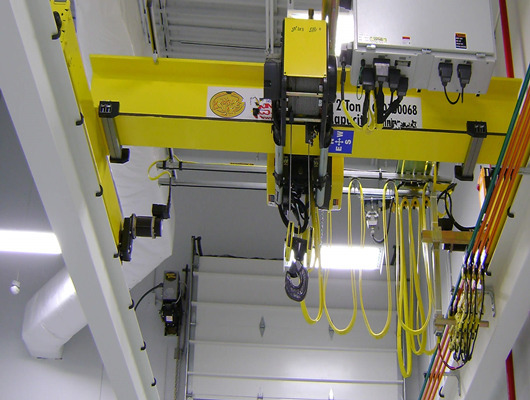 These systems not only add lifting equipment’s reliability, but also enhance the users’ safety operation. Especially for the driver’s controlling room, the operator will have the good vision from the working environment and places. Our company is the good and professional manufacturer and supplier. We have the convenient transportation conditions and excellent testing tools. 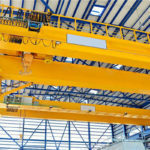 These crane systems are vital for improving the equipment’s ability. As the leading overhead crane manufacturer and supplier, we have the several years’ working experience. Our firm adopts advanced technology and intelligent management. Our factories are located in China. 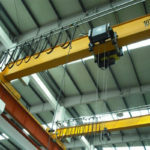 If you want to visit our factory or overhead crane types, we can provide you with reasonable and professional information for lifting equipment. Of course, we can strictly control reasonable structure and test these products parts. In order to make the entire machine safely and effectively to operate, we not only pay attention to working class, but also focus on operating types. When the customers need the type or model, we can find out the best crane for them, no matter what its types or functions. These clients spend more money to order or purchase our products. We should pay attention more quality for equipment. 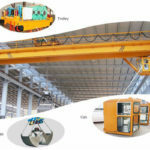 Weihua overhead crane has many advantages with low noise and light weight compared to other overhead travelling crane. Weihua experts and team carefully consider the parts of bridge crane. We will reduce its original equipment price and give the customer more reasonable discount. An overhead crane is comprised of many crane parts. It shows more functions and operation. As overhead crane manufacturer and supplier, we have the responsibility for high quality and other service. 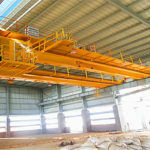 An overhead crane is comprised of different parts. We should pay attention to manufacturing of every part. We adopt many advanced technologies to manufacturer our products. What’s more, if you have time, you can visit our factory in China. We will share more useful information for customers. 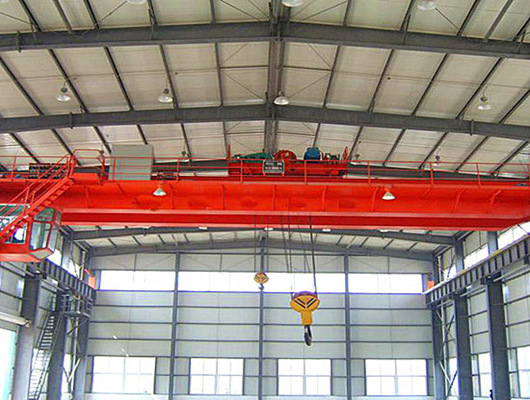 For overhead crane manufacturer, we can provide the customers many choices. The control room is also called the driver’s controlling room. There are trolley travelling and cabin travelling mechanism control devices, lifting mechanism control devices, and crane protection devices in the control room. The operation room is usually fixed at one end of the main beam, but a few are installed under the trolley which follow crab travelling mechanism to move. Above the control room, there is a hatch leading to the walkway which be used for the maintenance of the trolley travelling and crab travelling mechanism and the electrical equipment. In addition, crane truck frequency conversion system has stable operation and higher stability. At the same time, we adopt a set of remote control which controls the design of the main and auxiliary hooks at the same time. The control model can be freely switched according to the weight of the material. Secondly, a weight display is installed on the crane hook to instantly, which can show the weight of the carried item, and eliminate the cost of secondary weighing. Since the customer uses the main hook to lift the object during the use, the auxiliary hook assists the flipping. 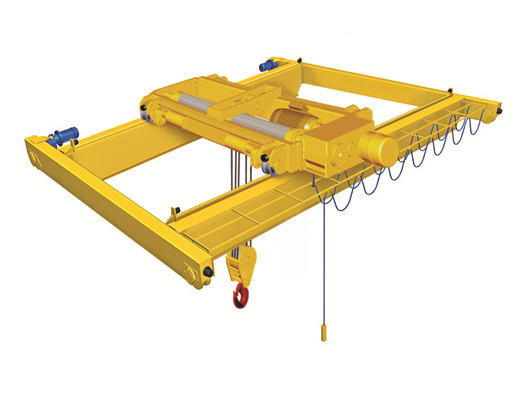 Our crane is specially designed to optimize the placement of the hoist so that the main and auxiliary hooks remain in the same straight line along the main beam during use. There is no deflection of the work piece when the work piece is turned over. The bridge crane equips with a pedestrian maintenance passage to facilitate later maintenance and maintenance. 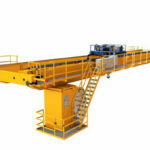 LH model electric hoist bridge crane has many advantages with light weight and low building headroom. Especially for basic structure of LH model, the small frame is welded by profile steel; the main beam adopts semi-biased rail box beam; the main beam and the end beam are connected by high-strength bolts. The travelling mechanism of trolley and crab vehicles adopts “three-in-one” driving device, and the electric cable of the trolley has a development prospect. It belongs to the generation crane in construction machinery. There are different tons which the customers can be selected for. If they have some requirements, customers can customize the reasonable size. The span has different meters according to tons and types. The working level is high. This product is suitable for loading, unloading and handling of objects in machinery manufacturing, assembly, warehouse and other places. The product has many advantages with small structure, light weight, low building headroom, high interchangeability of components, versatility, reliable performance, convenient installation and maintenance. 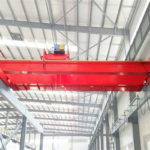 LH electric hoist double girder bridge crane lifting and trolley travelling and crab travelling mechanism operation are available in single and double speed. The operation model is divided into ground control and control room operation. The ground operation is divided into wired control and wireless remote control. There are two types of type and closed type. The entrance direction of the control room is divided into the left end, the left side, the right end and the right side. The user selects according to the direction of the platform ladder platform. With scientific management system, convenient transportation conditions, strong production capacity, advanced testing methods and strong sales network, our company manufactures products with excellent quality, low price and beautiful exterior to serve the lifting industry. We adhere to the integrity-based and steady operation policy, and courage to participate in the market’s benign competition, so that the brand has a good reputation. We adhere to the principle of service first and customer first, which has enabled high quality to win the trust of customers in engineering and construction cranes and establish a good corporate image. If you are interested in our products, please contact us as soon possible. We can provide the customers with high quality products and excellent service. You can directly call or email us. We will spare no effort to help you. 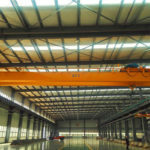 In addition, compared to other company’s overhead crane, as the overhead crane manufacturer, we can offer the various types and different tons. 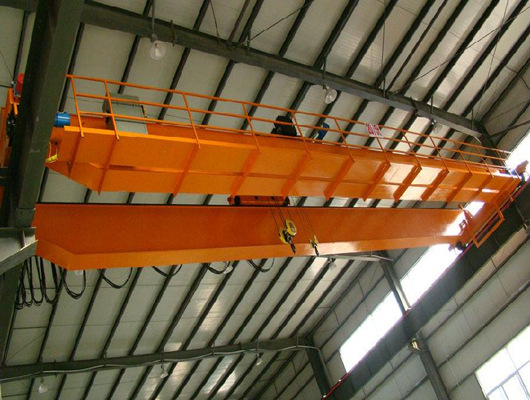 If you want to customize the overhead crane, we can meet the customers’ requirements.